GPS speed logging and location. Reflection free with polarizing filter. Support for up to 128GB micro SD Card (not included). The 512 GW Dash Cam can record at 1440p HD at 30 frames per second or 1080p at 60fps to ensure that even at fast speeds everything is still caught on camera, making it ideal for motorway driving. Along with its 3" screen making it easy to check what you're recording, 140-degree viewing angle and reflection free lens you can be sure that your dash cam won't miss a thing. 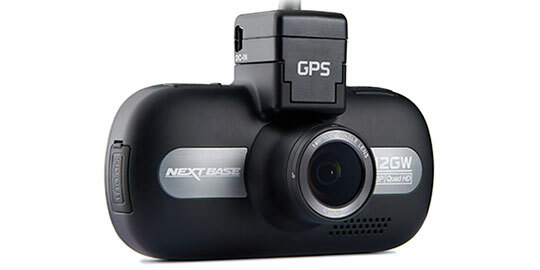 The Nextbase 512 GW uses GPS speed and location logging to provide you with accurate information on location and speed stored on the SD card or accessed using the free Nextbase software. Along with its sharing tools features which allows you to upload video footage to your phone or tablet via the Nextbase app. This footage can be easily accessed should you need to deal with your insurance provider or the police in the event of an accident. © 2019 Cygnus Automotive. All rights reserved.